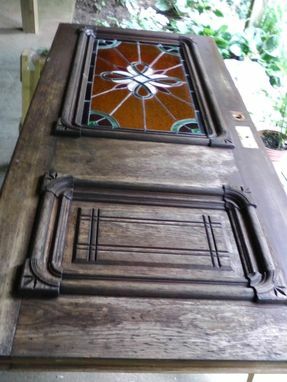 This was an antique restoration project that involved removing the door from the frame, stripping and refinishing the door, then restoring the custom built side panels, in place. 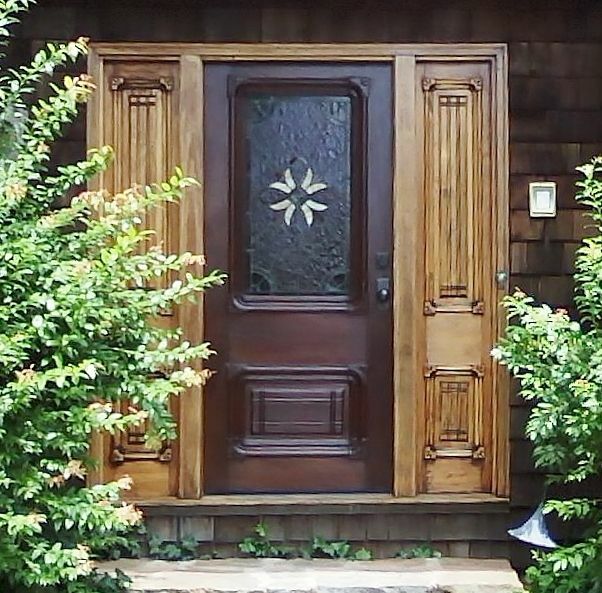 The customer wanted the side panels to remain a light color in order to highlight the door. The door was reportedly salvaged from a post office.